Colloquially known as Lady Liberty, originally created as “Liberty Enlightening the World”, she was a gift from France to America to commemorate the centennial of the American Declaration of Independence in 1876 – although she was actually delivered ten years late. Today she remains a beacon of freedom to all that pass their gaze upon her and a national icon and treasure. While there may be many ways to view the structure, try these alternative vantage points. There are two departure points for the Staten Island Ferry – Whitehall Terminal and St George Terminal. Both departure points operate twenty-four hours per day and are free to all passengers. As you slowly motor towards Staten Island, you will breeze past Lady Liberty, hooking around to the east, allowing for different viewpoints. Battery Park was the first immigrant depot in New York City; many years before Ellis Island and the Statue of Liberty gazed down at the incoming immigrants. Today the green space, located in lower Manhattan, provides views stretching towards Lady Liberty and beyond. This 172-acre island is in the heart of the New York Harbor, and a great place to spend a day with a picnic or with friends’ outdoors. Only open during the summer months, Governors Island is accessible by ferry from both Lower Manhattan and Brooklyn. Perched on level 100 of One World Trade Centre, this observatory takes you to new heights with a birds-eye-view of New York State and beyond in one of the world’s tallest buildings. Enjoy uninterrupted views over Manhattan, Brooklyn and New Jersey. If the floor-to-ceiling windows are not enough scenic vista for you, take a walk over the glass ‘Sky Portal’ in the floor for a look straight down the 100-stories to the streets below! 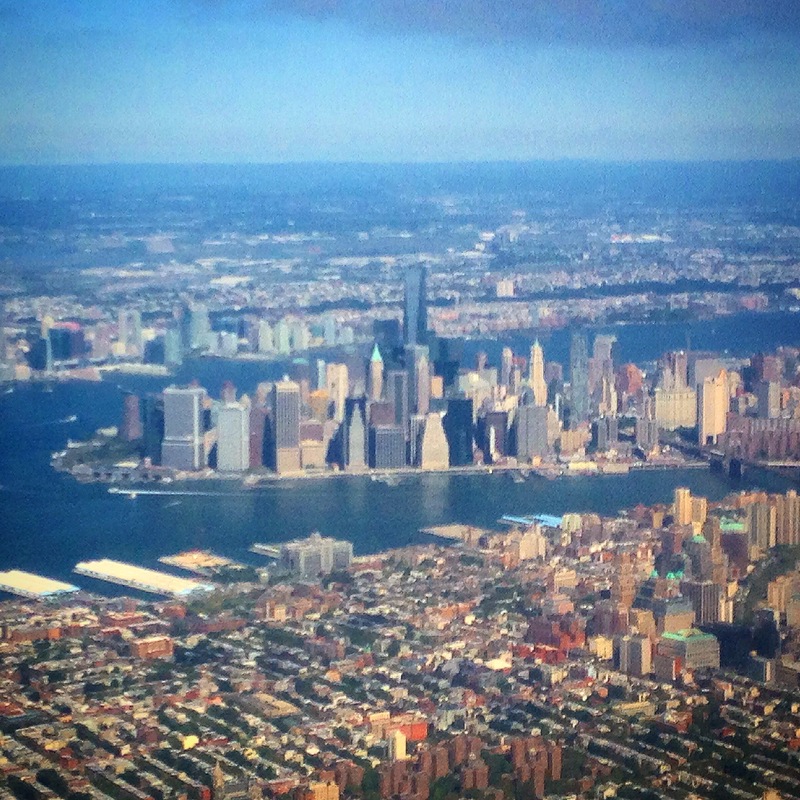 What better way to see New York city than by air. Take a scenic helicopter flight over the city and out towards the Statue of Liberty. Skirt the tops of the Empire State Building, Rockefeller Centre and One World Trade Centre, before following the Hudson River for unparalleled city views. Try a day time flight and again in the evening, to witness the city that never sleeps truly sparkle. For a classic New York experience, take a stroll over Brooklyn Bridge to explore this unique borough. As you admire the cables and feat of engineering that is the Brooklyn Bridge, glance back across the sweeping views of Manhattan and out towards the Statue of Liberty. While exploring the neighborhoods, make your way to Red Hook, an up and coming gentrified waterfront neighborhood of Brooklyn. Track your way to Louis Valentino Jr. Pier and Park, where you can catch a rarer front-on view of the statue. Enjoy one of the many popular eateries on the main street of Van Brunt. Hire a bike from lower Manhattan and ride over the impressive bridge, or take one of the free ferries on the weekends. Do you have any other vantage points to view the Statue of Liberty? Let us know in the comments below.